Shopping, Design and interiors West L.A. 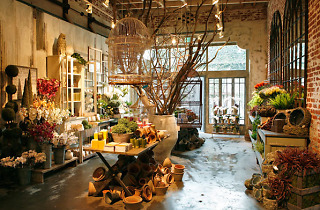 Housed in a historic 1930s auto garage, Rolling Greens offers a meandering stroll through exposed brick rooms of bed and bath comforts, epicurean items (including a wide selection of gorgeous cookbooks), and home décor—and that is all before you get to the plants. With indoor and outdoor spaces for a countless variety of all things botanical, one could spend hours perusing every orchid, vine, and rosebud—real and artificial. Bring your own vase to the Flower Bar and they will work with you to create a one of a kind arrangement—and possibly one that even that black thumb of yours can’t kill. This nursery is a one-stop shop for decking out your home in all things cute and green. They also do great workshops here—I recently learned how to make a cake that looked like a little cactus with Christmas lights strung around it! Rolling Greens brings so much to the community—I love to see it thrive. Rolling Greens is a nursery. Where you buy plants. But it's also a gift shop, decor haven, DIY workshop and overall inspiration zone. Not sure how to decorate your space with plants? Walk in here and they will help you out--or book one of their workshops to make a terrarium or air plant arrangement with a group under the supervision of their skilled staff. Not sure how to keep any plant, even a succulent, alive? 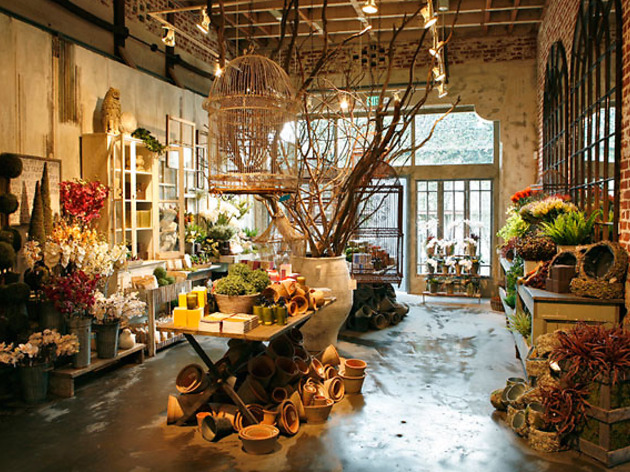 Don't even sweat it, because an entire room of the shop is dedicated to fake plants that are so life-like it would take a botanist to recognize them as anything other than hearty living things. And if some botanist gives you a hard time about your fabulous faux foliage, remind them that we ARE still in a drought, after all.